We’re going to Disney!!!! My kids are over the moon with excitement (I am too) and have been asking non stop everyday, “When are we leaving”, “How long til we go”, “Can we go tomorrow…I’m bored”. Instead of checking my calendar and counting the days with them I decided to create this fun and colorful countdown to disney calendar. My design inspiration came from the bright colors of the new Disney Art of Animation hotel that opened last year at Disney World. 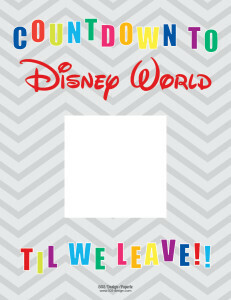 The printable file includes the Countdown to Disney page along with the numbers 1-31 plus a mickey graphic for the day that you leave. 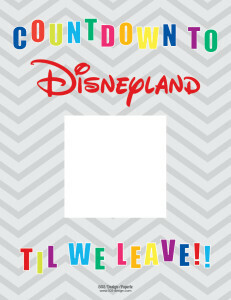 I also created a Disneyland printable for all of the west coast travelers. 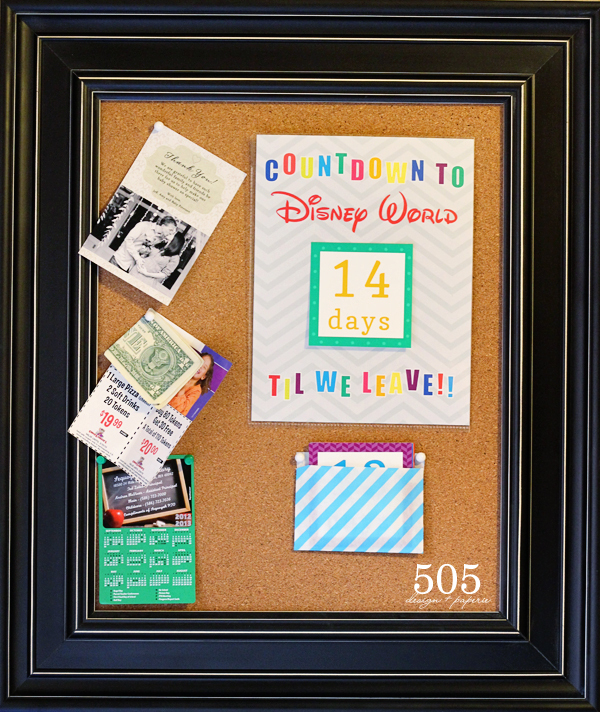 Our Countdown to Disney Calendar is displayed on the cork board in our kitchen so the kiddies can see it every single day. I placed the countdown sheet in a page protector and I use sticky tack to attach the number to the sheet. The cut out numbers in a goody bag that I cut down to size. 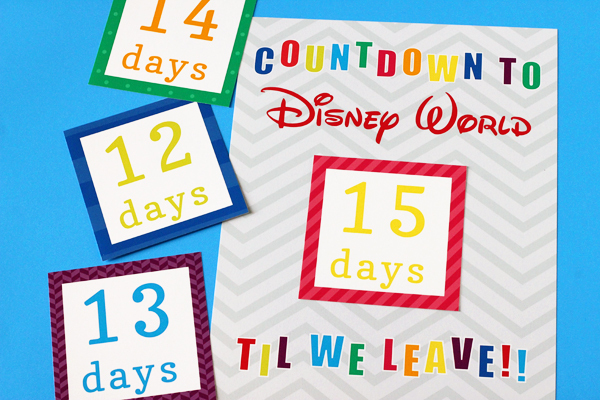 You can download your own Countdown to Disney World or Disneyland here. My family and I are planning our trip to Disney World now and this is just what we need! Thanks so much! No problem, we used it our trip and the kids loved it! !